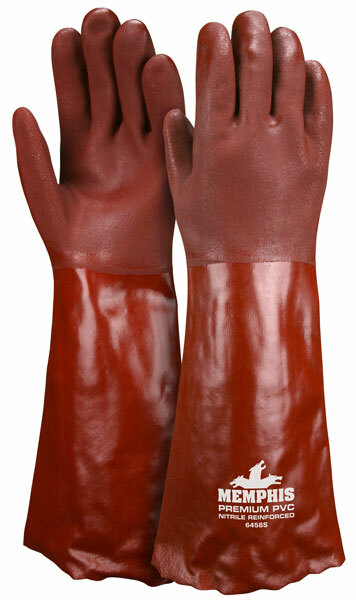 These Premium gloves are double dipped in red PVC for durability and feature a jersey lining for comfort, 18" gauntlet cuff for extra protection, and a sandy texture for added grip. They are Nirtrile reinforced for strength. Wear the best, wear MCR premium PVC gloves.